When Imperial Oil Well #1 began gushing vast quantities of crude oil in February, 1947, Alberta officially entered the “oil age,” and soon became Canada’s leading producer. In short order, other important discoveries were made at Redwater, Devon, Valleyview and Swan Hills. In the meantime, the Leduc field was expanded, with other oil companies making significant strikes. One of these was the Atlanta Oil Company, headed by Frank MacMahon. On 16 August 1947, he signed a lease option for NW23 TP50 R26 W4 for $175,000. The owners of this farm were all members of the Rebus family, with the actual title to the land then in dispute. Also in dispute was a claim by Imperial Oil that it in fact already held a lease option for this quarter. MacMahon was able to work a deal with Imperial, while getting the Rebus family members to agree to his option. On 15 January 1948, drilling proved successful, as oil gushed out of the ground to a height of 150 feet. It was pressured by an estimated 15 million cubic feet per day flow. Such extensive pressure was not easy to control however. On 21 March, efforts to clear a stuck pipe resulted in the fracturing of the surrounding area, and natural gas and oil began to escape over a wide radius. Fearful of a fire, the government put up roadblocks in the district, while the construction workers worked frantically to control the surge of oil and gas. Reportedly, redwood fibre, mud, and even feathers were used to stop the gush, without success. As the oil and gas spread, the entire Leduc field was shut down. On 15 May, operation of the errant well was taken over by the provincial Oil & Gas Conservation Board, which contracted Imperial Oil to try to cap the well and begin cleanup operations. The main activity involved pumping water down a nearby well directed towards the shaft of Atlantic #3. In the meantime, planes were warned away from the area, and there were even rumours that water supply could be affected as far away as Edmonton. We have no ancient castles in this country, but we have other things that are even more enduring. We have ancient mountains. We can’t very well present you with a mountain, but we have this mountain named ‘Castle Mountain’ and it is the wish of the Government of Canada and of the people of Canada to change the name from ‘Castle Mountain’ to ‘Mount Eisenhower’. Reportedly visibly moved, Eisenhower responded by saying that he was “touched by such a tribute that one man should be so honoured and his name so perpetuated in this way,” adding that “One day I am going to see that mountain. There is one thing, too, of which I am fairly certain – it must be a bald peak” (Ottawa Journal, 10 January 1946). The mountain became Mount Eisenhower and the junction of the two main roads in the area became Eisenhower Junction. Oddly, the Canadian Pacific Railway station in the area retained the name Castle Mountain. The gesture is a gracious one …it is a pity that the gesture will be futile. No one who has seen Castle Mountain can call it anything but Castle. The mountain named itself in the first instance. Its battlemented towers, its buttresses, its crenalated crags shout Castle, Castle, Castle, all day long. They can never be made to say Eisenhower [cited in the Banff Crag and Canyon, 18 January 1946]. ‘Residents of Banff were highly pleased when they learned Castle Mountain was to be called Mt. Eisenhower,” quotes one of the daily papers. Just which resident? … Letters and comments of protest are being published daily, which must sound a rather sour note to the supreme Allied commander as and if he reads them. Far be it for anyone to mean to belittle such a gesture, but two generations or more have known this mighty monarch of the Rockies as Castle Mountain, and it will take some educating to change its name. Surely the choice of another mountain would have been more in order [12 January 1946]. When the Canadian Pacific Railway arrived at Fort Calgary in 1883, the cattle industry in the region was given a great boost. The CPR also made it possible for homesteaders to settle in the foothills, and a number of small mixed farming operations developed in addition to the large cattle ranches. One of the first homesteads in Springbank was begun by Ebenezer Healy. Healy was a Nova Scotian who had learned the dairy business on his family’s farm in the Annapolis Valley. He traveled to Winnipeg in 1882, and the following year filed for a homestead north of Regina. Drought conditions there ruined his crops and helped persuade him to move further west to the foothills. Here he filed for another homestead where he could concentrate exclusively on raising cattle. 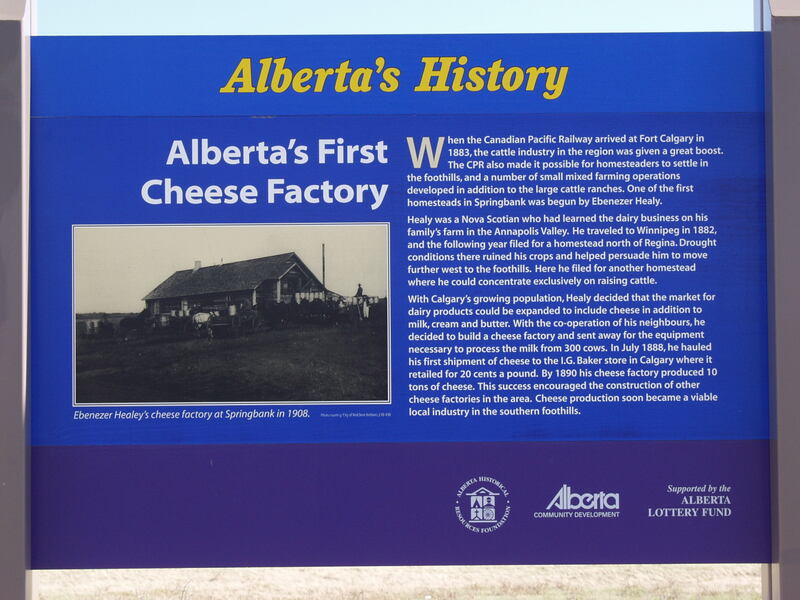 With Calgary’s growing population, Healy decided that the market for dairy products could be expanded to include cheese in addition to milk, cream and butter. With the co-operation of his neighbours, he decided to build a cheese factory and sent away for the equipment necessary to process the milk from 300 cows. In July 1888, he hauled his first shipment of cheese to the I.G. Baker store in Calgary where it retailed for 20 cents a pound. By 1890 his cheese factory produced 10 tons of cheese. This success encouraged the construction of other cheese factories in the area. Cheese production soon became a viable local industry in the southern foothills. South side of Highway 1, one kilometre west of Highway 22. Castle Mountain is an approximately 2,860 metre (9,383’) mountain located in Banff National Park. It is in the Bow Valley and situated approximately 30km northwest of the Banff town site and 20 km southeast of the Lake Louise town site. The name is descriptive and comes from the fortress- or castle-like appearance of the mountain; its peaks and ridges give the impression of the towers and battlements characteristic of a medieval fortress or castle. The mountain appears to stand alone in the middle of the valley and, although it is not amongst the tallest of the mountains in the area, it is one of the most picturesque and well-known mountains in the Canadian Rockies. This prominence has made the mountain the subject of one of the greatest naming controversies in western Canadian history. 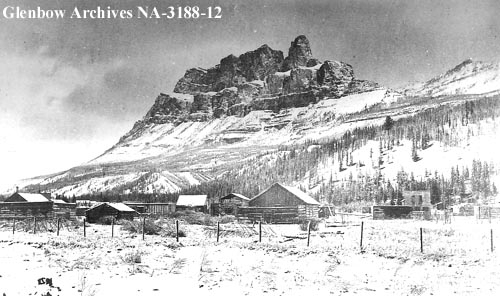 The origins of the name Castle Mountain are found with the Palliser Expedition, which explored western British North America from 1857 to 1859. In August 1858, the expedition split up to cover more territory. Dr. James Hector, the expedition’s geologist, led a party westward from the Morley area up the Bow Valley. On August 17, 1858, Hector’s party entered a wide portion of the Bow Valley between the Sawback Range and the Bow Range. He recorded in this Journal that “[s]eeming to stand out in the centre of the valley is a very remarkable mountain, still at a distance of 12 miles, which looks like a gigantic castle.” Hector spent the next two days camped near the mountain, which he named Castle Mountain. [Interestingly, on August 12, 1858, just five days prior to Hector’s naming of Castle Mountain in the Bow Valley, Lt. Thomas Blakiston, another member of the Palliser Expedition had bequeathed the name Castle Mountain to a mountain near Pincher Creek. In order to avoid confusion, Blakiston’s mountain was officially named Windsor Mountain in 1915]. [W]e began to rise very rapidly. At 1,000 feet above the valley, before we had quite got out of the woods, we came to a cliff, about 80 feet high, composed of quartzite and indurated sandstone of a pinkish hue… . After this we reached the first of the cliff ranges that are so conspicuous from the valley below … . When 2,000 feet above the valley we passed round to the N. side of the mountain, and found that a deep valley separated it from a lower spur composed of splintery shale of a dull red colour. The mass of the mountain, which rose more than 2,000 feet above us, seemed to be composed of thick bedded limestones, and these breaking away as the soft shales below them have been destroyed has given rise to the castellated appearance. Hector’s party left Castle Mountain the next day to continue their exploration of the Bow Valley. On September 3, he again noted the mountain, which could be seen from Kicking Horse Pass, at a distance of 15 to 20 miles. 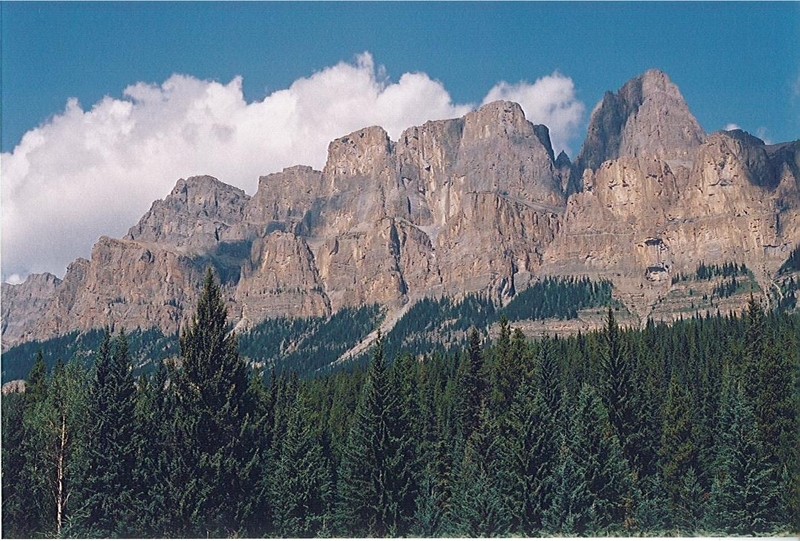 On his second journey up the Bow Valley in 1859, Hector camped at the north end of Castle Mountain. During this trip he recorded observations that the mountains on the west side of the valley were characterized by strata of soft shale, while the mountains on the east side of the valley were composed of limestone. Geologically speaking, he wrote, Castle Mountain, with its heavy shale, belonged with the mountains on the west side of the valley, even though the course carved by the Bow River placed the mountain on the valley’s east side. 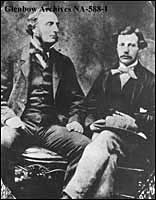 The Palliser Expedition wrapped up in 1859. In 1861, Hector was appointed as the director of the Geological Survey of Otago, New Zealand. He spent the rest of his life in New Zealand, where he died in 1907 at the age of 73 years. Despite only spending two short visits to Castle Mountain, Hector’s vivid descriptions of the mountain and the name he gave it lived on. In 1883, the Canadian Pacific Railway established a station near the mountain. This station was listed as Castle Mountain in the railway’s timetables and maps. Also in 1883, a mining town known as Silver City was established in the mountain’s shadow. It quickly grew to over 2,000 people before disappearing in 1885 after the expected ore deposits failed to materialize. In 1912, the Geographic Board of Canada officially approved the name Castle Mountain to identify the mountain on federal maps. During the First World War, the Castle Mountain Internment Camp was established to contain detainees, mostly recently-arrived immigrants from Eastern Europe. Castle Mountain also featured prominently in promotional literature produced by the Canadian Pacific Railway and Banff National Park. The mountain continued to dominate the landscape of the region and the minds and imaginations of those that viewed it. The name Castle Mountain appeared to be indelibly affixed upon the map. The events of 1946 changed that. Description: Approximately 30 km northwest of the Banff town site and 20 km southeast of the Lake Louise town site. Dell, R. K. “Hector, James: 1934-1907, geologist, explorer, administrator,” Te Ara – The Encyclopedia of New Zealand, available from http://www.teara.govt.nz/en/biographies/1h15/1. Kordan, Bohdan S. and Peter J. Melnycky. In the Shadow of the Rockies: Diary of the Castle Mountain Internment Camp, 1915-1917. (Edmonton: Canadian Institute of Ukrainian Studies Press, 1991). Spry, Irene M. ed., The Papers of the Palliser Expedition, 1857-1860. (Toronto: Champlain Society, 1968), available from http://link.library.utoronto.ca/champlain/search.cfm?lang=eng. [Dr. Hector’s Journal for 1858 can be found on pages 286-469]. RETROactive was launched six months ago and thanks to all of you it has grown into a blog followed by nearly 125 people. Over 60 blog posts have been published, covering topics such as: the conservation of historic windows; roadside heritage markers; the history of various Provincial Historic Resources; how to complete Municipal Heritage Surveys/Inventories and how Albertans can access conservation funding. Are these the types of posts you want to read? Are there certain topics you would like us to discuss? What do you think about RETROactive? Please provide us with your feedback by commenting at the bottom of this post, write a comment on our Facebook page or email us at: albertahistoricplaces@gov.ab.ca. We look forward to receiving all of your messages. Thank you for visiting RETROactive. 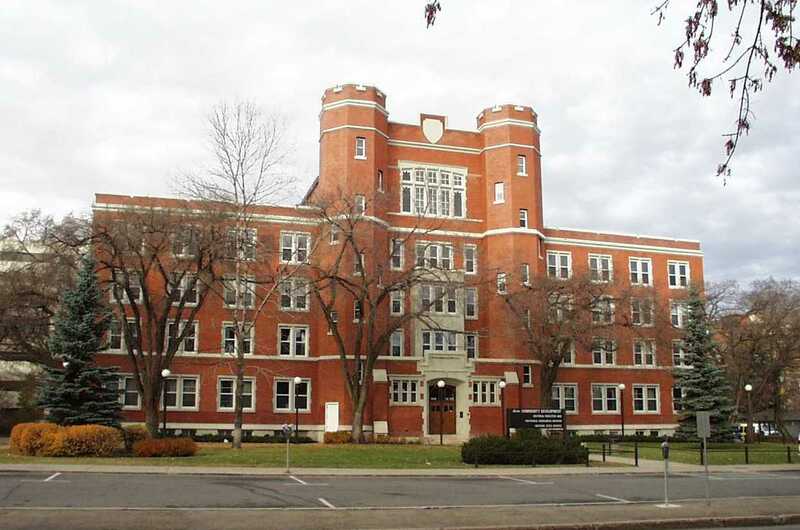 Old St. Stephen's College, located on the University of Alberta campus, is home to the Historic Resources Management Branch (the authors of RETROactive). This building is also a Provincial Historic Resource. 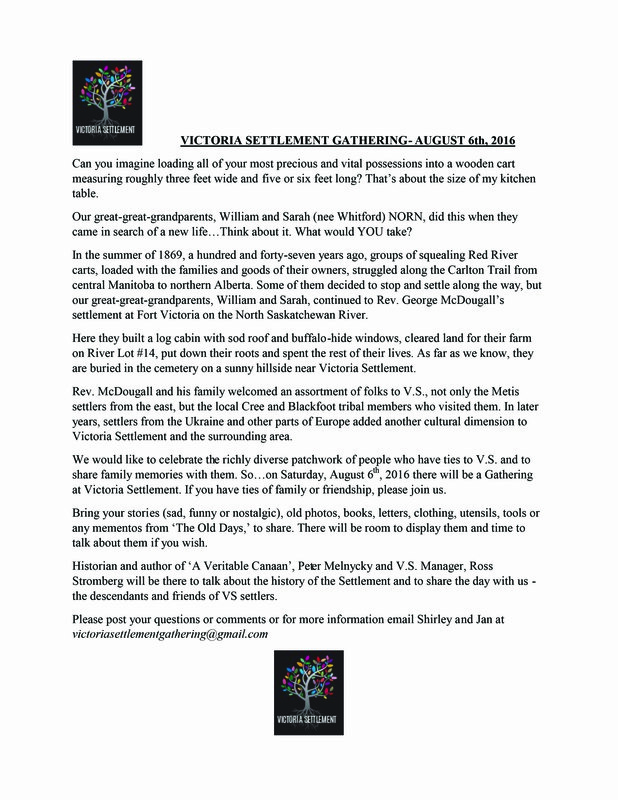 The year 2012 marks the 150thanniversary of Alberta’s Victoria Settlement. In 1862 Methodist minister George McDougall established a mission at the “Hairy Bag” a buffalo feeding ground north of the North Saskatchewan River which was a favourite meeting place and camping site for Aboriginal peoples for thousands of years. The mission was named Victoria in honour of the reigning British monarch. The Hudson’s Bay Company soon noted the activity of free traders in the vicinity and the large numbers of Aboriginals gathering at the mission and established Fort Victoria in 1864, a post which operated for more than three decades. Clerk’s quarters and trading shop at Fort Victoria, c. 1890. Provincial Archives of Alberta B.2406. 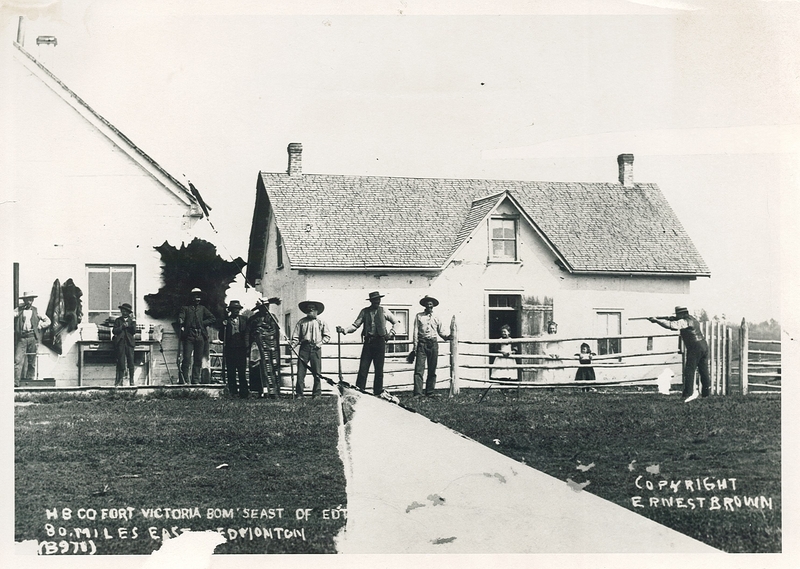 The mission and trading post attracted several hundred English-speaking Métis (historically known as Mixed-bloods) from the Red River Settlement, in what is now Manitoba, who established a permanent river lot settlement at Victoria. The river lot system was based upon the seigneurial system of New France. It consisted of long narrow river-front lots that provided all settlers river access for transportation and agricultural needs. Combining agriculture with the traditional buffalo hunt, a prosperous community of missionaries, fur traders, settlers and Cree hunters developed. In 1887, when the community established its first post office, it was named Pakan in honour of local Cree chief, James Seenum or “Pakannuk”, in tribute to his leadership during the 1885 Rebellion. During the 1890s, settlement in the district expanded as hundreds of Ukrainian and other European settlers took up homesteads. The community thrived as a commercial and service centre until 1918 when the Canadian Northern Railway line was established north of the settlement at Smoky Lake. Fort Victoria was designated a Provincial Historic Resource in 1976, ensuring that Victoria Settlement’s historical ties to Alberta’s First Nations, Métis and Ukrainian settlers and it’s associations with the fur trade, mission and homestead history are conserved for the benefit of all Albertans. This site is interpreted as the Victoria Settlement Provincial Historic Site. 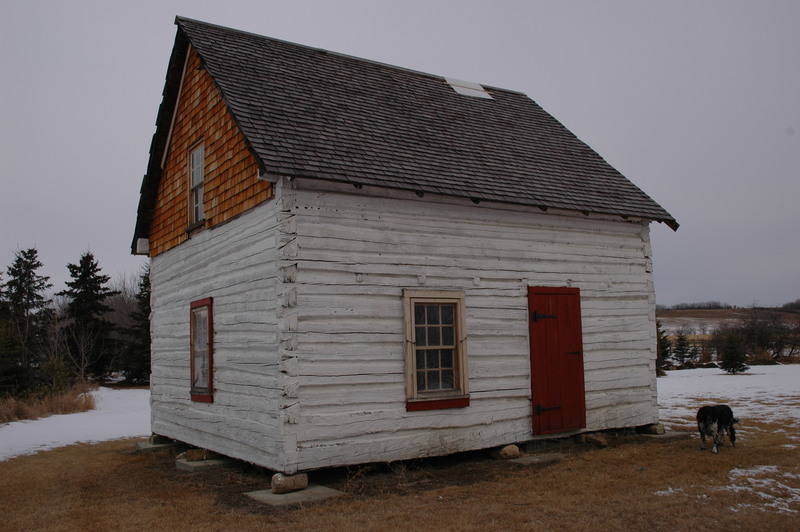 It includes the Hudson’s Bay Company Clerk’s Quarters built in 1865, Alberta’s oldest structure remaining on its original location and the 1906 Pakan Methodist Church. In 2001, the Historic Sites and Monuments Board of Canada commemorated the area as the Victoria Settlement National Historic Site of Canada. Its highly visible and physical attributes represent an exceptional illustration in a concentrated area of major themes in Prairie settlement including the development of the fur trade, the establishment of the Métis river lot system, the arrival of missions, Prairie agricultural development and the establishment of eastern European immigrants at the beginning of the 20th century. The national designation along the old Victoria Trail includes the Lobstick Settlement to the west, the Victoria (Pakan) Settlement to the east, and a Ukrainian settlement area to the north. Historical points of interest in the National Historic Site include the site of the McDougall Mission, the McGillivray House originally located on River Lot 7 but currently found on River Lot 3, which is also designated as a Provincial Historic Resource and the Anderson House, a Municipal Historic Resource on River Lot 14 of the Lobstick Settlement. Other resources from the Settlement have been moved: the Erasmus House is currently displayed at Fort Edmonton Park, while the Sinclair House which for many years functioned as the Pakan Museum on the Mitchell property at River Lot 7 is currently displayed at Metis Crossing along with the Cromarty House from River Lot 12. In 1907, the government of Alberta purchased the Alberta interest of Bell Canada and set up the Alberta Government Telephone Company, a Crown Corporation which was the precursor to AGT. The following year, a telephone line was extended from Edmonton as far east as Mannville, Alberta. The following year, telephone installation was begun in this small community on the Canadian Northern Railway. A telephone office was set up in S. K. Smith’s Drug Store, with various employees of the store operating the Kellog switchboard. In 1912, the Telephone Company extended the service to the rural areas surrounding Mannville. In October 1915, a new telephone exchange was opened in Mannville with a northern electric switchboard. On 1 December 1917, the exchange was moved into a newly constructed telephone office on Main Street, built by Neil MacKinnon, who became mayor one year later. MacKinnon had also constructed the original Mannville School and the McQueen Memorial Church. The Telephone Agent was Ellen Ewing. She was assisted by Mrs. Alice Rutherford, who would take over as Agent in 1920 and continue in this role until 1965, while herself residing in the AGT building. During the 1930’s, AGT found the cost of maintaining rural telephone lines increasingly expensive, as fewer and fewer people were subscribing to the system due to the Depression. In parts of the province, including the Mannville district, the telephone system was disconnected. Some of the rural areas formed mutual telephone companies. Around Mannville, six separate companies were formed, but, before long, they were amalgamated into one company, centred in Mannville. The old Telephone Exchange thus found renewed use. Shortly after World War II, AGT returned to the area, buying out the Mannville Mutual Telephone Company, and securing direct connections with Edmonton and elsewhere. On 1 May 1965, automatic dialing was introduced to the Village and its hinterland with the use of one of the first underground cable systems to be installed in the province. As a result, the Mannville Telephone Exchange was closed. The building served for a while as the community library and has continued as a prominent historical feature of Main Street Mannville ever since. In October 2009, the Manville Telephone Exchange was designated a Provincial Historic Resource. Its historical significance lies primarily in its provision of structural evidence of telecommunications in early Alberta. It is one of the oldest telephone exchange buildings in the province, at least of those buildings dedicated exclusively to telephone service. It is also a reminder of the early development of downtown Mannville, a major farming community in east central Alberta. 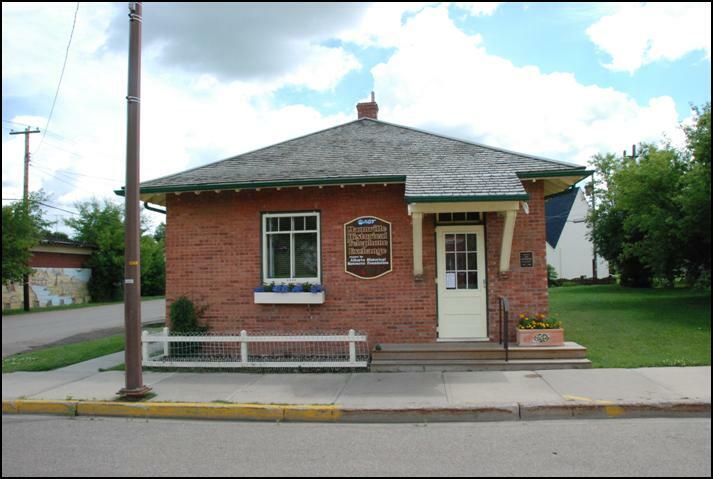 Visit the Alberta Register of Historic Places to learn more about the heritage value of the Alberta Government Telephones Exchange Building in Mannville. 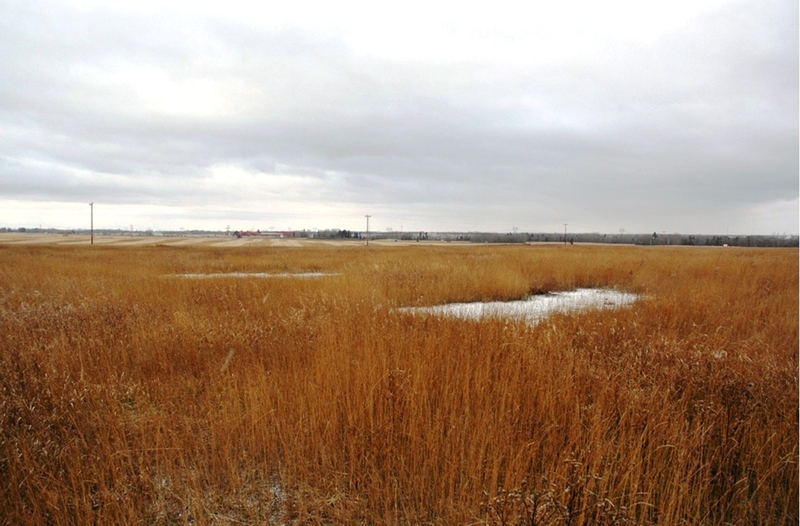 In order for a site to be designated a Provincial Historic Resource, it must possess province-wide significance. To properly assess the historic importance of a resource, a historian crafts a context document that situates a resource within its time and place and compares it to similar resources in other parts of the province. This allows staff to determine the importance of a resource to a particular theme, time, and place. Above, is some of the historical information used in the evaluation of the AGT Exchange Building.